Analysis of traffic and waste, technical information and detailed statistics. 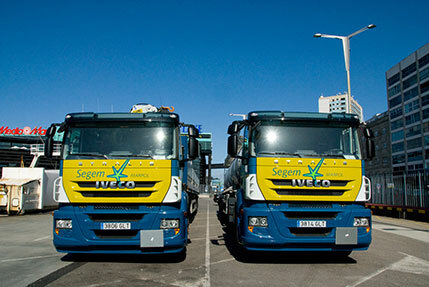 Organisation of the collection, transport and treatment of waste. Collection and treatment of waste described in the Marpol I, IV, V, VI annexes of the international convention MARPOL 73/78. Management of documentation and issue of certificates to ships. Handling of waste in a port varies according to the conditions of each service: type of ship, nature of the waste, location, amount, pumping system. This is why at MARPOLGAL we have the means of collection that allow us to fulfil any demands that the service requires. MARPOLGALâ€™s strength is in our service that is efficient, quick, safe, permanent and respectful to the environment, all of this backed by a large, well-trained professional team. MARPOLGAL has containers of different types and capacities for this kind of collection, from the most basic that are 1m3 to high capacity compactors of 30m3; their transfer is not a problem as we have vehicles that are able to transport any of them safely and with minimum response times. After its collection, the solid waste is managed in plants for its proper treatment. MARPOL V services will be provided through the company GEMARGA (Marpol Management Galicia, SL). The members of this company and the services and facilities are the same used by UTE MARPOLGAL, being guaranteed the quality and availability.